Science fiction, fantasy, and alternative history stories often require not just a plot, setting and characters, but an entire fictional world which must be carefully crafted. Those familiar with J.R.R Tolkien’s epic saga know that Middle Earth is a richly developed world with a history that goes back to before the creation of the universe. That creation is revealed in the book The Silmarillion. 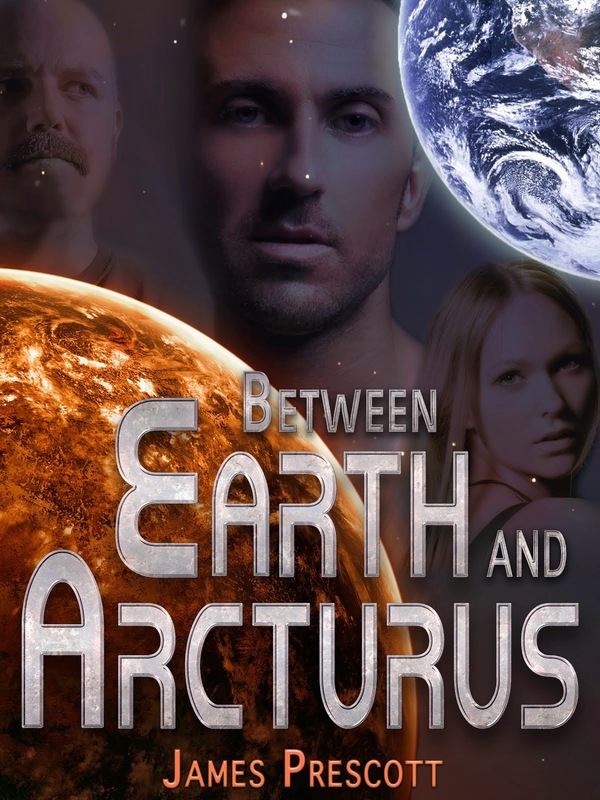 My novel, Between Earth and Arcturus, didn’t require building a world starting with the creation of the universe, but it did need a history of the Earth starting in the 22nd century and continuing into the 28th century when my brave explorers first travel to Arcturus. A mystery, romance, or thriller doesn’t need so much world building; when a cop speeds away from Yankee Stadium in his Ford Mustang and checks to see that his pistol is loaded, we don’t need a description of the stadium, car, or gun along with explanations of how such things can exist. Not so with the 28th century protagonist who departs a spaceport in a mini-shuttle while checking his plasma weapon; all these need some description and plausibility. Same goes for the fantasy novel with dragons, castles and magic. What most fiction writing does have in common is characters. This also needs considerable development, which doesn’t necessarily all make it into the story. Even so, to make a truly believable character whom the reader can love or hate takes some work. The characters in novels are most likely knowledgeable about something. To convey this in a story, the writer must also be knowledgeable, though maybe not as much as the character. After all, I don’t know as much about astrophysics as my Commander José Aguire does, but I know enough to write about him. Each of my major characters has a profile of 3 or more pages that tells who they are, what they look like, where they come from and how they got to be that way. Secondary characters get 1 or 2 pages of profile. Important organizations, such as the Exploration Corps in my novel also get some history written, which may or may not make its way into the actual story, but it’s all needed to make sure there are no overlooked plot holes, and to explore possibilities in storytelling. The aliens took a lot of work. Now that I’ve written about aliens, I will never advise a novice writer to begin with aliens. It’s tough enough just learning how to write, but to write about things like spaceships, alien people, creatures and cultures while learning the craft can become a quagmire of doubt. A young fan of fantasy recently wanted advice on how to write a vampire novel set in the 18th century. My response was to make it a contemporary setting instead, not because it would be a better story (I have no idea if it would be better) but rather because this person needs to learn how to write stories before jumping into subjects that neither he nor his intended audience are familiar with. I had to find a plausible genesis for my aliens’ world and a history that supports who they are when my story begins. This is a terrific way to brainstorm plot and character ideas. It’s also a lot more fun that you might think. For the Arcturusians I went back about six thousand years to build their culture and civilization. Only a pinch of that history made it into the first book, which is mainly told from the Earth explorers’ point of view. The second book will deal with the first pioneers from Earth who settle on this fictional world, and much of that story will be from an alien point of view, letting more of their history enter into the story. The ground work for it is already laid in the first book. Of course, my fictional universe has to be believable. That’s why lots of factual research went into it as well. Arcturus is a real star, just under 37 light years from our sun, and the heroes of the story (as well as the villains) need to get there in spaceships. This took some basic arithmetic to determine how fast a spaceship needs to travel to get there in the time stated in the story. A bit more complicated math went into determining how far a livable planet would need to be from Arcturus, given the brightness of the star, in order to have it just the right temperature for an earth-like environment. Once the distance was determined, I then calculated how long an Arcturus year is, based on what astronomers say the mass of the star is. Getting all this meant reading books on astronomy, physics, and math. As for what’s on the planet; oceans; lakes; continents; cities and so forth, I actually made a world globe of the planet with all of these painted on it. This makes it quick and easy to write about travel times on the surface by stretching a string around the globe and calculating the distance from how much string it takes to reach from one city and another. Then there are the spaceships. Like so many other sci-fi stories, I didn’t have to actually invent faster than light propulsion, but I did have to make it plausible for the distant future. The other aspects of my starships required some thought: they had to have airtight environments; food and water; sewage treatment; electric power; crew quarters; power generation; communication within the ship, and everything else that a mobile city will need for a crew of thousands to call home. Fortunately, I have a background in space technology and a fertile imagination, but it did take some research included watching video documentaries about naval ships, cruise ships, and even commercial fishing ships to get a good overview of the considerations. Then I had to draw up a diagram of the ship and where various facilities were located within it. I even kept a list of how high the ceilings are in each facility on board as a reference as I write about them. Many common occupations require mostly common sense, but some are unfamiliar to me and needed further investigation, such as the commercial fishermen who move to Arcturus in the second book in order to build a new frontier home on a planet that has oceans teaming with life. Okay, another trip to the library. The books I was finding had too specific information about commercial fishing on Earth, and not enough general information on the lifestyles of real fishermen. I eventually found what I needed in the kids section—a nice picture book that explained in overly simplified terms the work and equipment of the fishing industry. Following up with informal interviews with some ex-navy co-workers gave me enough to write about the fishermen on Arcturus so long as I don’t get into any detailed descriptions of the work they do. There is such a thing as overdoing research to the point where the research never stops and the novel never begins. Whenever an aspiring writer asks me how to become a better writer, I tend to include going to school along with any advice specific to writing. English classes are obviously relevant and a lot more beneficial than most eager young writers want to believe. But just about any kind of education can help. In science fiction, math and physics are essential. In most genres history will always help to understand how events unfold. Look at all of the science fiction, fantasy, and speculative fiction that we enjoy and you see not just a story, but a whole world carefully built upon a plausible foundation. Everything from The Wizard of Oz to Harry Potter to Star Trek have histories and backgrounds which are not fully revealed to the audience, but which the writers are fully aware of, and they take care not to violate with contradictions. In order to write the story, I had to read a lot of books. Not just novels, but books on astronomy, physics, commercial fishing, ancient mythology, languages, cartography, history, and of course books about writing. Our public libraries have been an invaluable resource for me, and they can be for you, too.